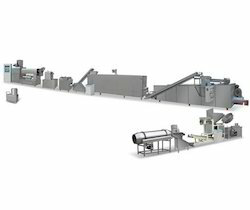 Manufacturer of a wide range of products which include pasta processing line, macaroni elbow pasta line, 2d-3d pellets production line, corn curls processing line, corn puff line and short-cut pasta line. 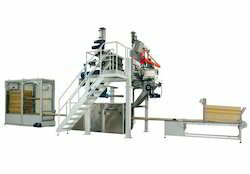 We offer the pasta line of fixed and standard capacity of 100-220/350/500-600 and 1000 kg and above capacity. Quality construction and superior hygienic standards – stainless steel parts, easy cleaning, low loss of raw materials, etc. Quick and easy on-site assembly – modular pre-mounted part s.
Sustainability – intensified processing to generate energy and water savings, as well as cost-effectiveness . 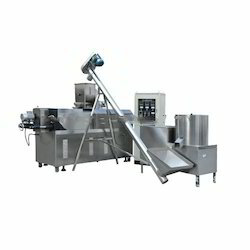 We Odtin Food Solutions With Years Of Experience In Creating Food Production And Automation Machinery, Provide Best Possible Customized Food Production Solutions For Our Esteemed Interpreters. Patented dual head and Omni dryer multi-product pre-drying system. 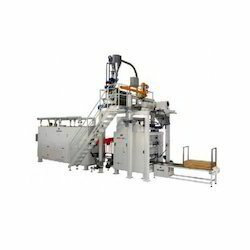 We have established ourselves as a renowned manufacturer, supplier and exporter of a commendable array of Extruded Snacks Line. These products are manufactured using finest quality components and spare parts so that these are in adherence with international quality standards. To meet the diverse requirements of customers, we offer these lines in variegated specifications. 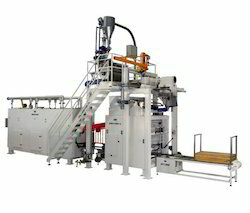 Compact line with rapid product changeover. 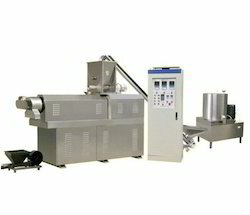 Production of all types of short cut pasta, nested pasta, lasagna etc. 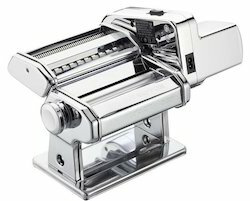 special shapes of highest quality: Paccheri(sachets), jumboshells, elbows etc. Innovation is our forte and we strive to design and develop a vast array of Kurkure Extruder. These products are manufactured employing advanced technology and latest machines following standards & norms of the industry. The quality controllers appointed by us stringently inspect these products on certain parameters in order to ensure their defect-free nature.